Hello my lovelies and Happy Friday! February is right around the corner and I’m actually happy to leave January behind. It’s my least favorite month of the year and even though I had a lovely start of 2014 I am ready to move on and see what’s in store for me next. Beauty wise, I am happy to announce that for the first time in absolute ages I somehow managed to restrain myself from shopping and I’ve bought only one beauty product for the past month eeeeek! I feel so proud of myself haha! Anyway, in case you’ve missed any of my posts in January - here is the roundup of the ones I enjoyed putting together the most. Hope you enjoy and have a fantastic February everyone! Hello beauties! 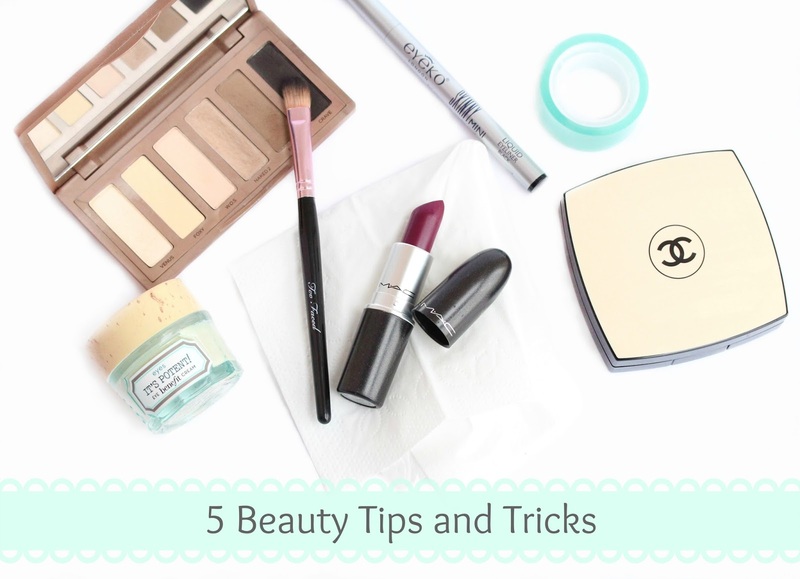 Since my last ‘5 Beauty Tips and Tricks I’ve Learned Recently’ post went down rather well, I decided to do these kind of posts more often. Here are some tips and tricks that will help your lipstick last longer, your eyeliner look stunning and your complexion stay flawless. What is more irritating than going on a special event or a night out and after an hour your lipstick is completely gone and you need to run to the bathroom and reapply? I hate it when that happens and I recently found a trick that extends the longevity of any lipstick I might be wearing. All you need to do is exfoliate your lips, swipe across them the brush you used for your foundation (it will erase any harsh lines and will create a nice base) and apply your lipstick as usual. Then place a thin layer of tissue over your lips and apply some powder through the tissue. The thin layer of powder will set the lipstick in place and it will mattify it. Then apply one final coat of lipstick and enjoy your beautiful long-lasting pout. Simples. I’m sure most of you will agree that getting the perfect eyeliner is not an easy task and I’ve been trying to master the skill for years. My favorite method of getting the desired flick is by using scotch tape. If you don’t know this trick already – read on. Take some tape and stick and unstick it several times at the back of your arm so that you’ll get rid of the excess glue. Then carefully place it from the outer corner of your eye up the end of your brow. Then apply your eyeliner as usual and follow the created angle. You can take it as far or as low as you desire and when you’re done – just remove the tape and embrace your clean, crisp wing. Turns out I’ve been doing this all-wrong – go figure why I always managed to ruin my base *facepalm*. Anyway, it wasn’t too long ago when I attended a beauty seminar and the makeup mavens showed us how to correctly apply face powder. Rule number one – don’t swipe it! 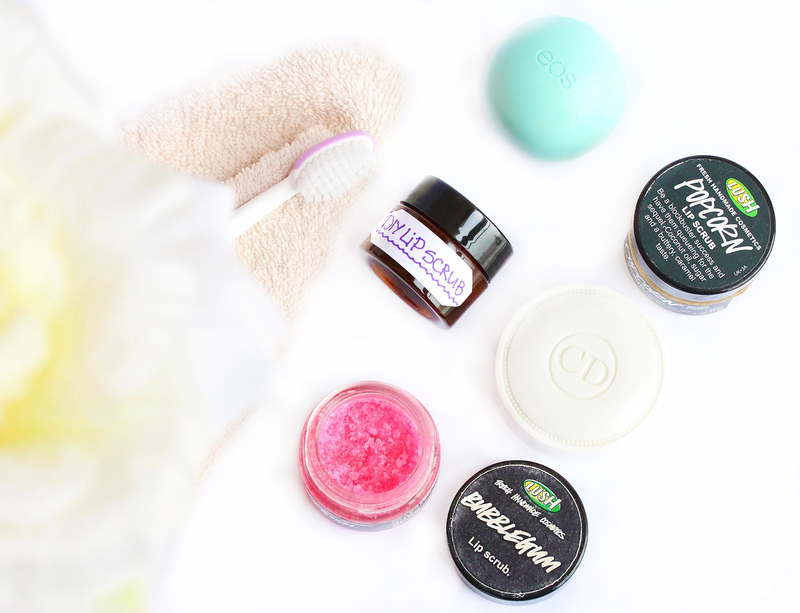 Rule number two – do not ever swipe it – it will disturb the base! So what you want to do to avoid that is to hold your brush horizontally, get the sides of the bristles into the powder and scoop some product. Tap off the excess and start pressing the bristles onto the face with rolling motions. By pressing the powder instead of seeping it, you make sure that the base remains flawless and your makeup is set perfectly. Try it next time – you’ll be amazed! Eye shadow on your waterline? Yes, yes – I know it sounds bizarre but I promise you – it works wonders! Pandas are cute. Panda eyes though – not so much. I was so sick of coming back home with smeared eyeliner that taking some actions was in order. I found a trick that eliminates all of my problems at once – setting the eyeliner on my waterline with black eye shadow. As weird as it sounds, it actually gets rid of the excess moisture and sets the liner in place. It not only seals it and makes it last all day without budging, but the black shadow also makes the color of the liner look more deep and intense. Brilliant! Now if I say that putting shadows in your eyes is pleasant – I will be lying. To be honest though – it’s bearable and the results are worth it. How on Earth did I not know this earlier agh!? All you need to do is scoop some of the product out and using your ring finger (it’s the softest) gently dot it half inch below the eye – on your orbital bone. Tap the cream gently (never rub!) going from the inner corner outwards until it is fully absorbed. You should never apply the eye cream directly below your lash line because the eye cream tends to move around and it will get into your eye, which may cause irritation and swelling. Bye bye under eye bags and puffiness! Having full coverage foundation is a must. For me at least. 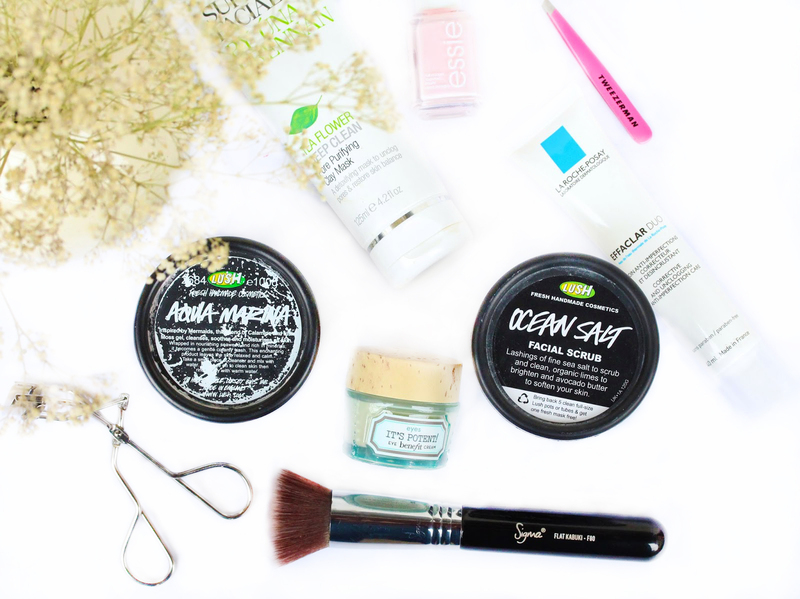 Flawless base is essential, I’m sure you’ll all agree so I am always on a hunt for the perfect foundation that offers full coverage but at the same time doesn’t look cakey and feels comfortable on the skin. After my downright horrible experience with Laura Mercier Silk Crème, I was pretty much forced into getting a new full coverage foundation, which would make all the damages Silk Creme has done less obvious. After some research I decided that I should go for the MUFE HDInvisible Cover Foundation $42. And I wasn’t wrong. For starters, I have to take a moment and appreciate the packaging, which is usually my biggest concern. Glass bottle – check. Pump – check. Lid – check. Luxurious feel – check. So far so good. One thing I know all of you will be thrilled to hear is that Invisible Cover has incredible shade range. The 26 shades will cover everyone’s needs and I am lucky to say that I found the most perfect match for my skin. For reference, I am MAC NW20 and MUFE’s N115 Ivory is even better match. 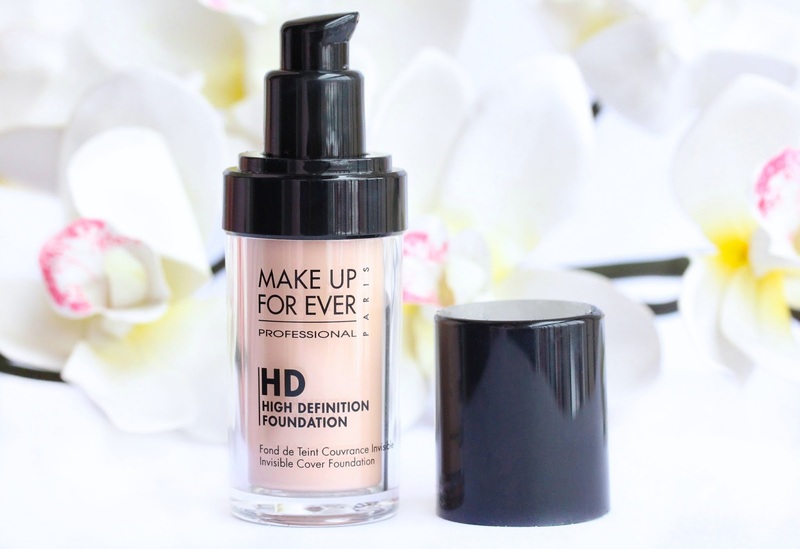 The HD foundation blends like a dream and there is no trace from the color in sight – it just disappears on the skin, creating a ‘second layer of perfect skin’. Buff the product really well into the skin and this barely-there foundation will make your skin look really natural. Lovely surprise, which I didn’t expect in a full coverage foundation. Thumbs up! The coverage of the MUFE HD foundation is also incredible. At first, you feel like it doesn’t do much but as you keep blending it in, you start to realize that it actually covers everything. It just doesn’t look obvious. The coverage is definitely full but could be build down if you fancy more of a sheer finish. One thing to remember though is that with this foundation a little goes a long way and you need one small pump for your entire face. I like to apply Invisible Cover with my Real Techniques Expert Face brush and I am left with the most beautiful, even and natural complexion. Kiss goodbye those concerning visible spots or hyperpigmentation and welcome your flawless new skin. 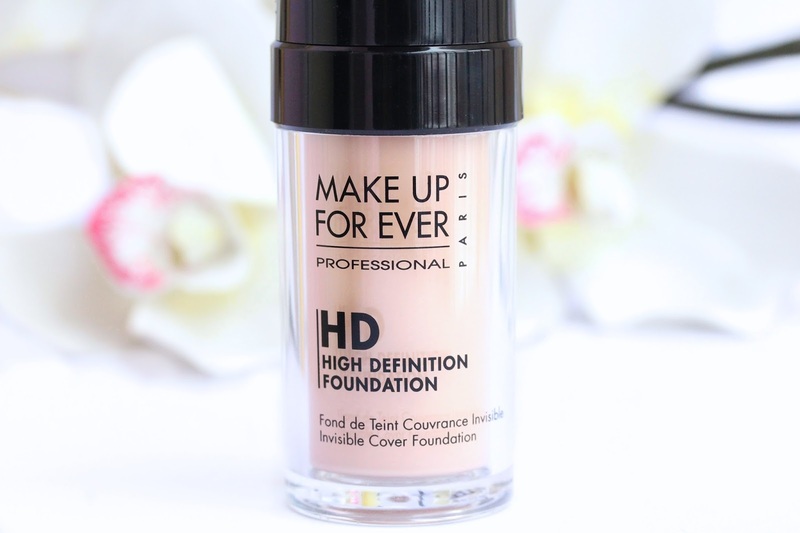 The HD foundation is your ideal companion when pictures will be taken. This flash-photography-ready stuff remains invisible both in real life and on-screen and with the lack of SPF in it you don’t need to worry that you’ll look like a ghost. The foundation creates soft-focus effect, which is designed to meet the coverage concerns of those in the spotlight. 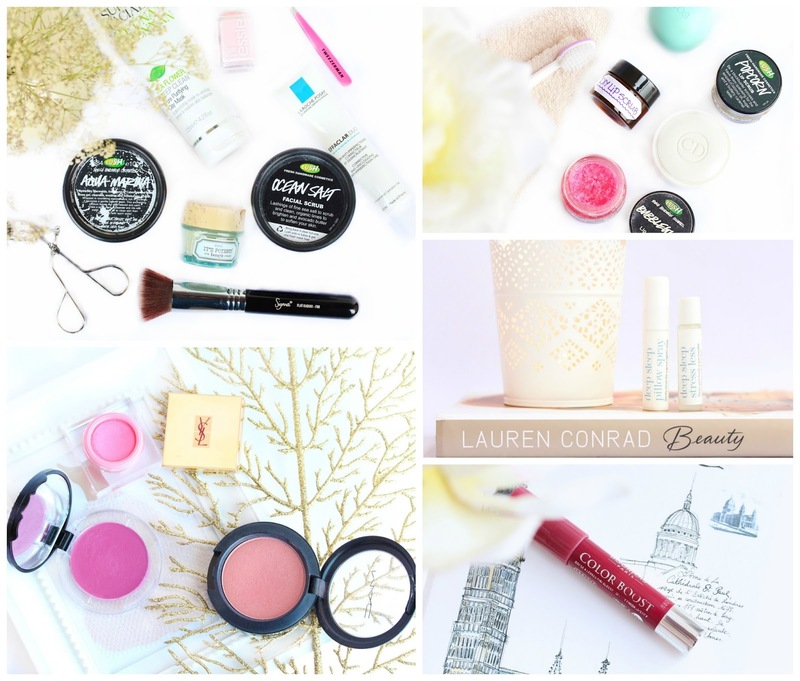 The flawless complexion you’ll be left with, can withstand any bright or harsh lighting and pop some of this stuff on and start taking those photos! 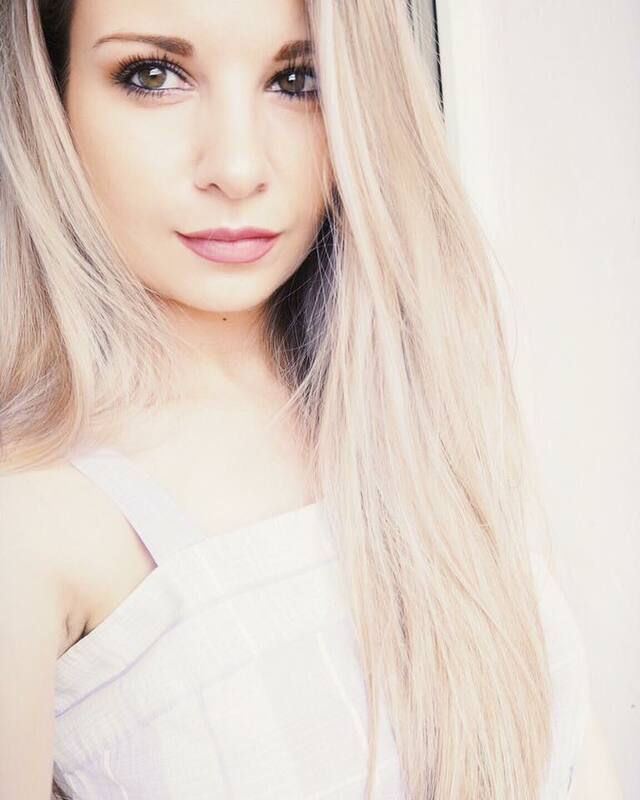 Selfies anyone? The finish of the MUFE HD foundation is definitely natural but I feel like it leans a bit more toward the matte side. If I am having a bad skin day I know that this gem will come to the rescue. It manages to add light and glow to my face whilst keeping the oils at bay and making me completely shine-free (for the record I have normal to combination skin). The formula of Invisible Cover is great for my needs – water-based, oil-free, light, buildable and blends into the skin seamlessly. In terms of longevity it doesn’t fall short either and it literally stays put for the whole day without budging. Heads up to the ladies with dry skin though – this foundation is not for you. 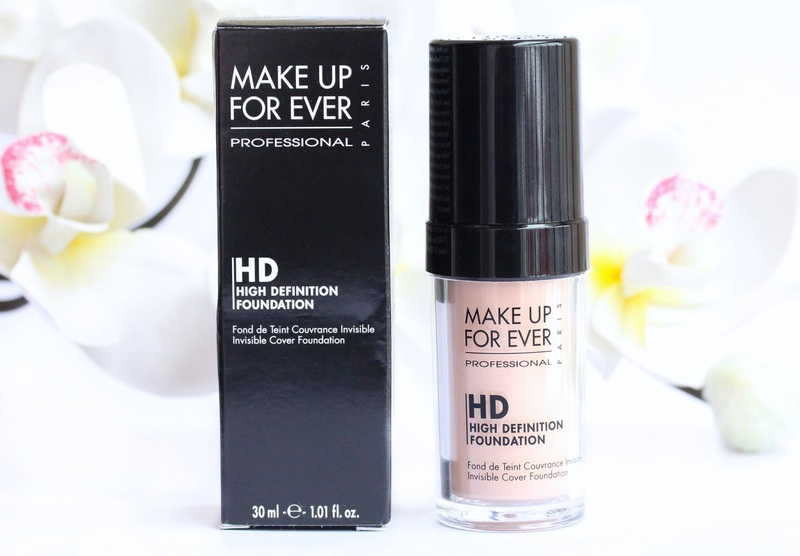 Even though it is enriched with moisturizing agent, I find that HD is not hydrating at all. It clings to imperfections and accentuates dry patches like crazy so if you have dry skin or if you have temporary dry spots – do not get involved with this foundation. It will not be your friend. At first I wasn’t sure if the MUFE foundation will steal my heart but after playing around with it for a bit – I can say that I am completely smitten by it. 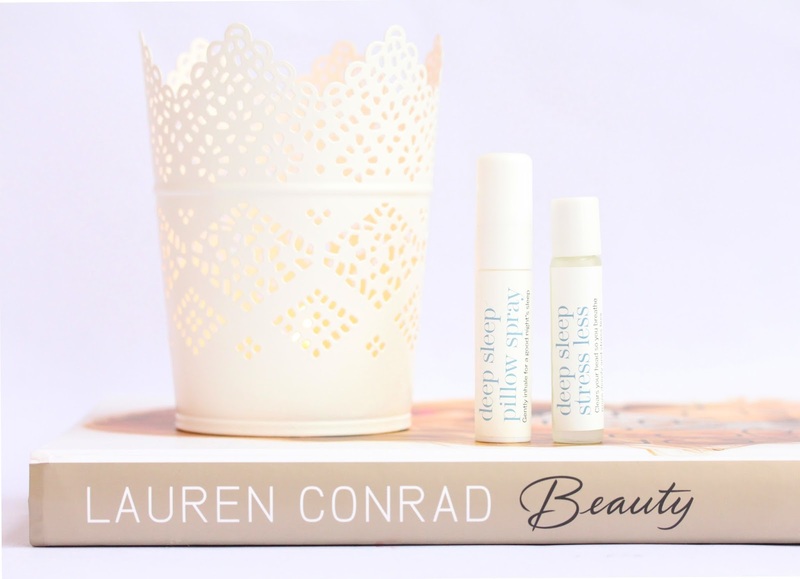 It does it all for me really – it covers any imperfections, blends beautifully, looks really natural and makes my skin dewy, yet matte at the same time. Let’s not forget about the impressing longevity and the amazing photography results I get when I wear this. It really is a miracle in a bottle. 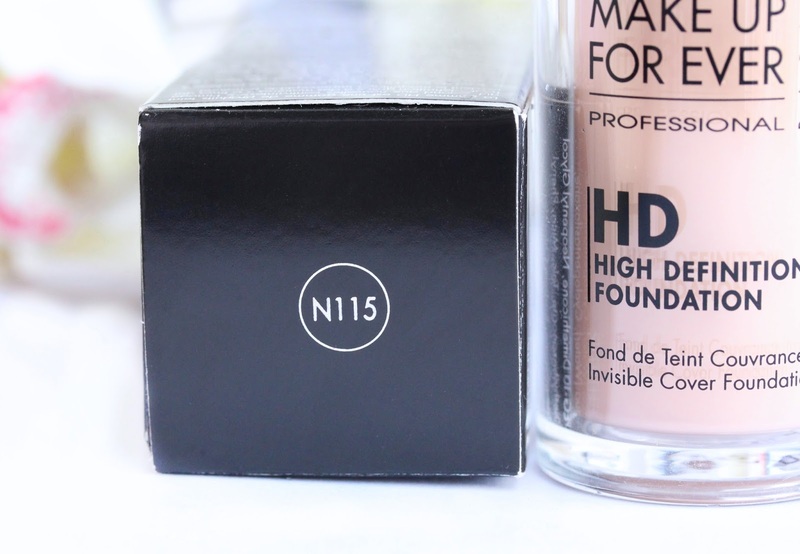 The HD foundation is my savior and I would say that even though it is on the pricey side at $42– it’s worth every penny. Big thumbs up from me! Have you tried the MUFE HD Invisible Cover foundation? Which is your favorite full coverage foundation? 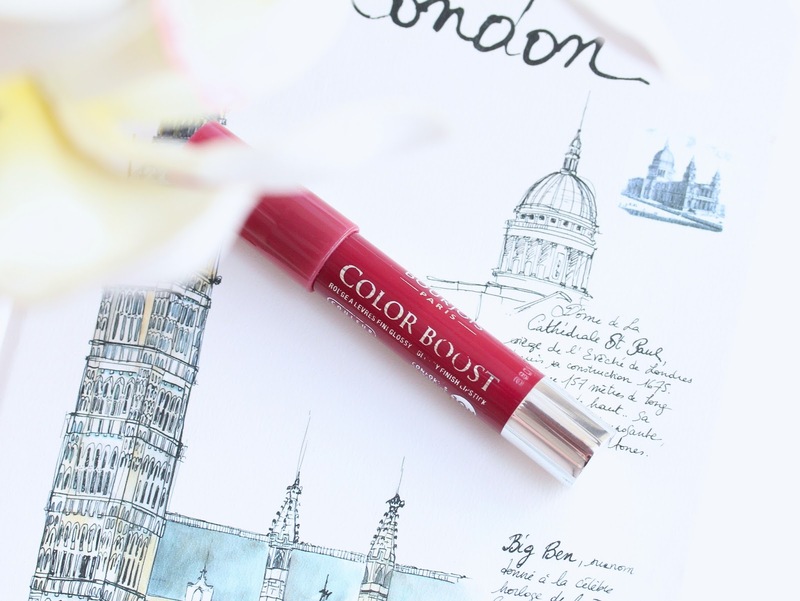 Oh my… how much I love me a good blush! Blushes, along with lipsticks, are definitely my beauty weaknesses and I pretty much never leave the house without some gracing on my cheeks. I can basically pop some concealer and mascara on, add some bold lipstick and just swirl some blush on the apples of my cheeks and I am good to go. I tend to change my blush pretty much every day but here are the top three gems that I keep coming back to since the colder months rolled in. Pretty much a cult beauty product, MAC Springsheen (review and swatches here) is on top of my list and for a good reason. This gorgeous peachy pink is absolutely beautiful and the golden shimmer running through it completely stole my heart. Springsheen adds lovely warmth to my cheeks and its stunning golden sheen perks up my dull skin beautifully. Thanks to this beaut I look so much more alive and healthy and when I fancy more of a glow-y, dewy finish I opt for this one. 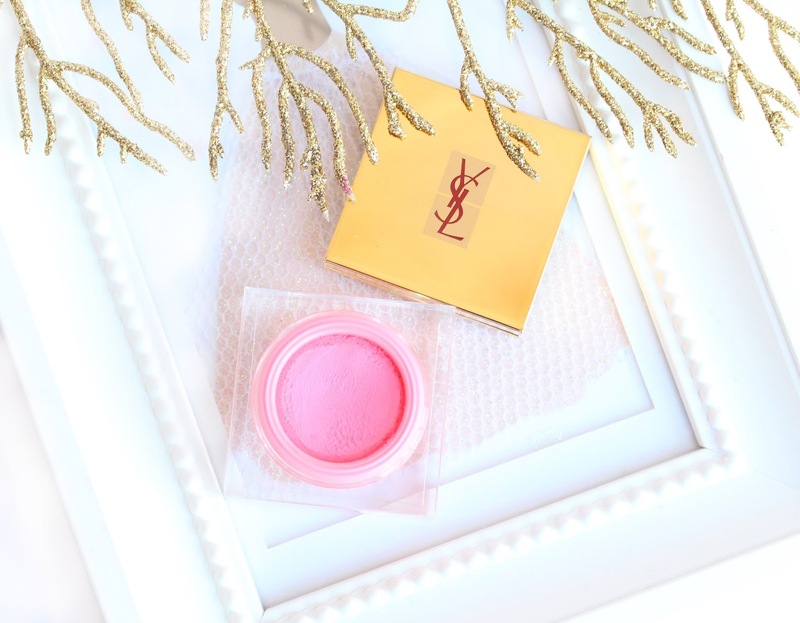 As with any MAC blush, I can’t fault the formula of Springsheen – it is everything you look for in a blush, and more. Too Faced strikes again – I rediscovered one of their products in my stash and I am now completely smitten by it. Yes, I am talking about you Full Bloom Lip& Cheek Crème Color in Sweet Pea (review and swatches here)! When my skin is dry and dull my usual partner in crime has been this gem and it works wonders, let me tell you! 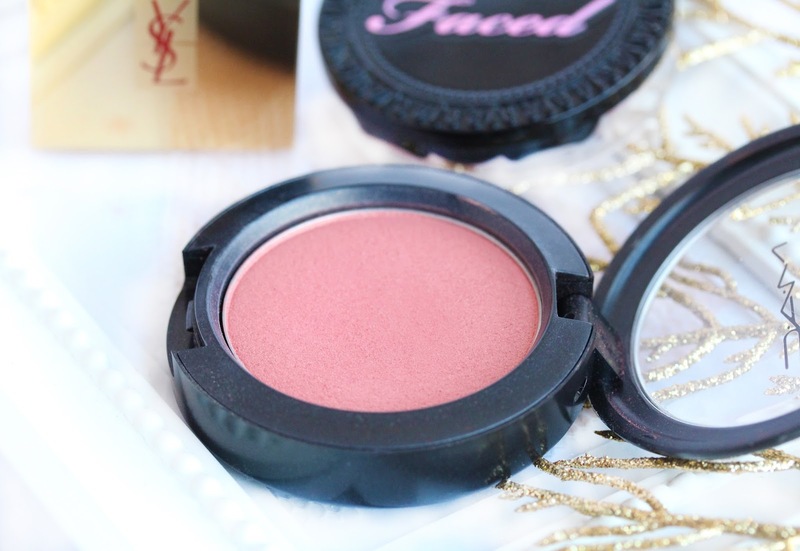 It is the perfect winter cream blush and its gorgeous medium toned berry shade compliments my darker, plum-y lipsticks beautifully. The Full Bloom Crème Color is super creamy and leaves the skin looking so luminous and dewy, whilst adding beautiful hint of color. It glides on the cheeks so effortlessly creating the illusion of super healthy skin, which let’s face it – I don’t exactly have during the winter. Sweet Pea is really pigmented so you only need the tiniest amount of product. Just dab it on those apples and enjoy your brighter, blotch-free complexion. 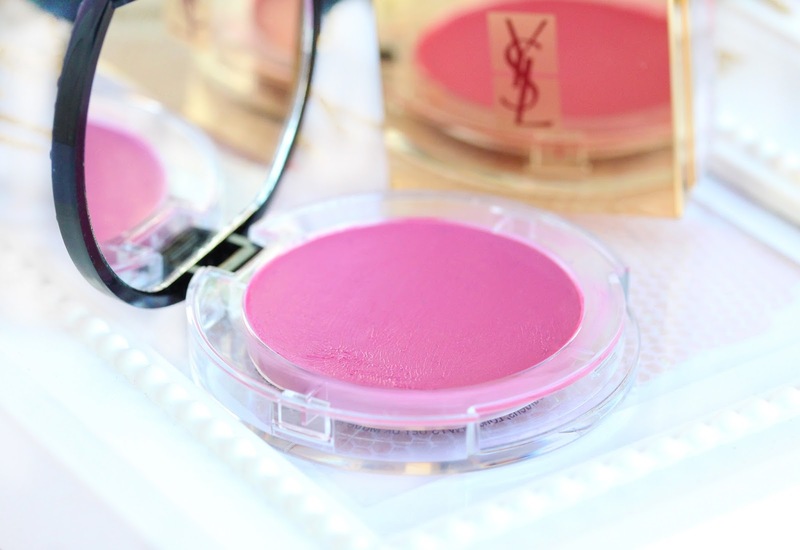 Last but certainly not least on my list we have YSL Cream Blush in #9 Baby Doll (review and swatches here). I never thought that this would make a great winter blush but it luckily proved me wrong. Baby Doll adds the most beautiful, natural frosty flush of color and makes you look as if you’ve just came home from the cold outside. I adore how fresh and radiant my skin looks when I wear this. The bright bubblegum pink shade looks a bit too much in the pan but on the cheeks is a whole nother story – it looks divine and you won’t end up looking like clown, I promise. The cream-to-powder formula of this is right up my street as it manages to add the glow and luminosity I love, minus the grease. Brilliant. 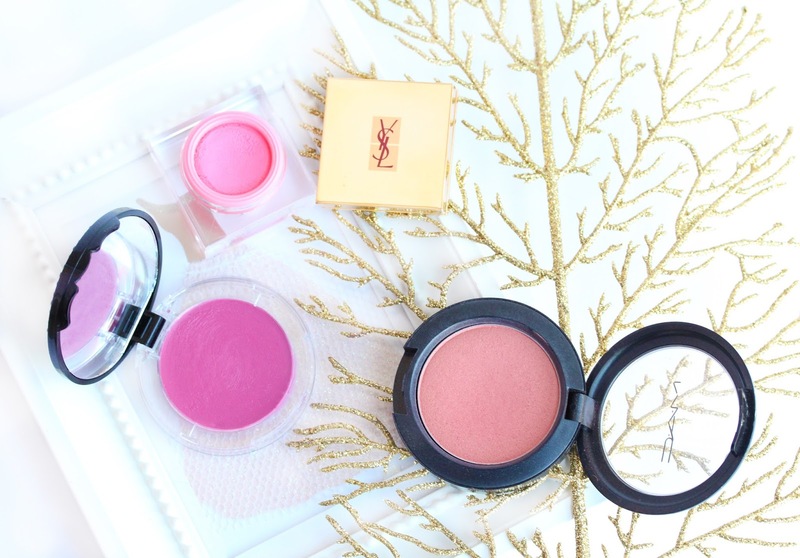 Have you tried any of these blushes? Which is your favorite winter blush?